A Couple in the Kitchen: Foodbuzz Top 9! Thank you to everyone who viewed and/or buzzed our Lavender and Blood Orange Olive Oil Shortbreads, which made today's Foodbuzz Top 9! Congrats on making it to the Top 9! Also the Blood Orange Olive Oil sounds divine! Must keep an eye out for it! BEAUTIFUL cookies! 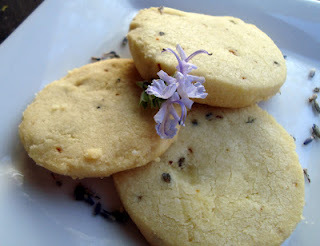 I love lavender in baking! And congrats on your well deserved top 9! I bet these were as delicious as they are pretty!! !